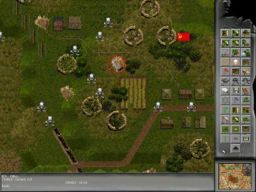 Strategy games occupy a unique niche within the gaming world. Whether they are real-time or turn-based, decision-making skills are very important to win. Almost all Strategy games require good decision making and situational awareness. While there is not always the thrill of fighting, there is often a deep satisfaction achieved from outsmarting your ennemies. 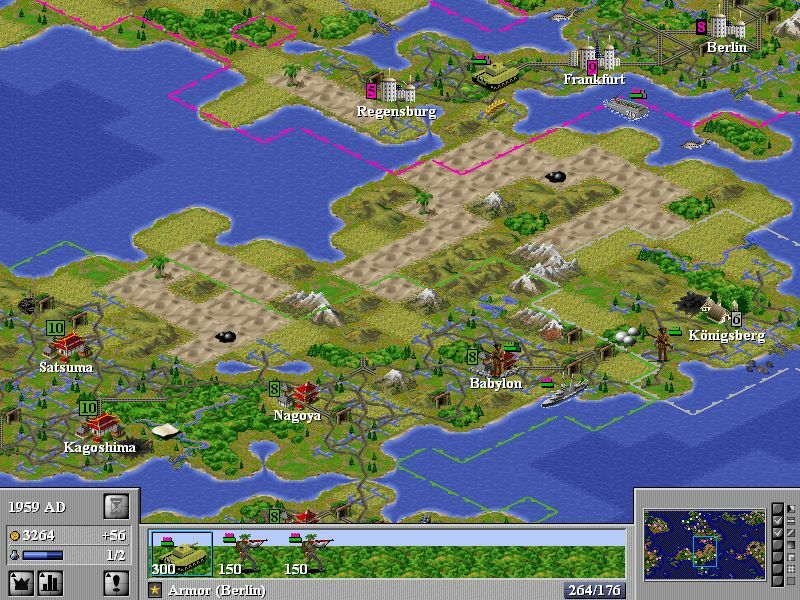 On this page you can find a selection of my most favorite Strategy Games. All games are really free and don't have limits. I only add freeware or open source games to this page. If you find a game that is not really free or has limits please be so kind to let me know so I can remove it. 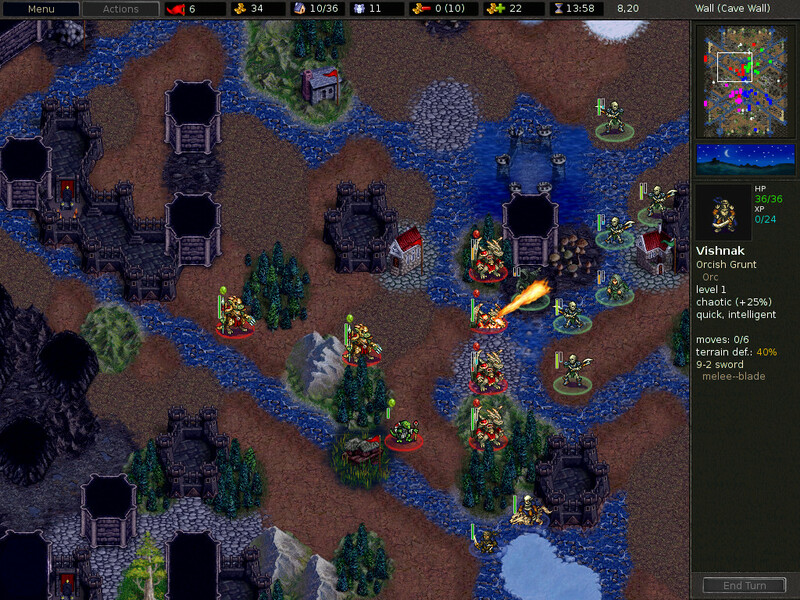 Advanced Strategic Command is a turn based strategy game. in the tradition of the Battle Isle series from Bluebyte and is currently available for Windows and Linux. 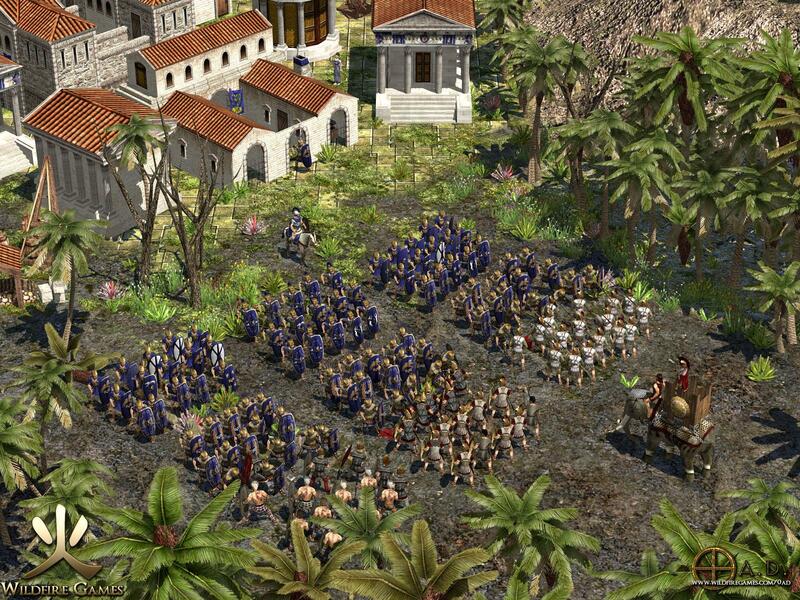 0 A.D. is a historical real-time strategy open source game focused on the years between 500 BC and 500 AD. 0 A.D, which will remind you of Age of Empires. The game is about economic development and warfare. The 0 A.D. team aims to deliver an experience that is refreshingly innovative but at the same time familiar, focusing mostly on the military aspect of real-time strategy. The game will pursue a strong sense of historical accuracy without damaging gameplay. It also aims for a high degree of replay ability by being easily moddable and the formation of a large online community. 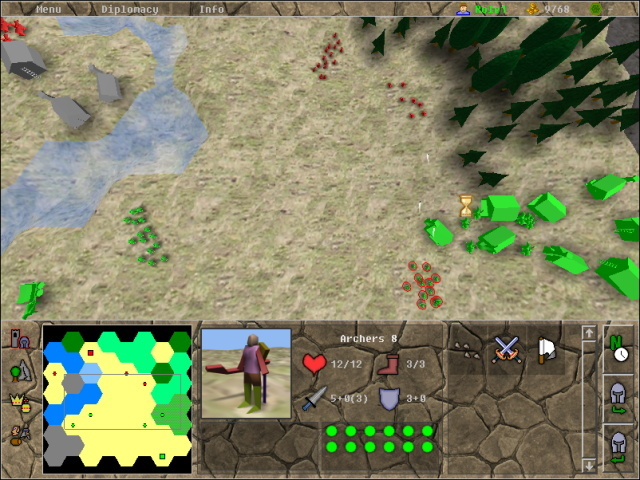 The player will have to build a city and an army following the rules of standard real-time strategy games, collecting resources and constructing buildings. 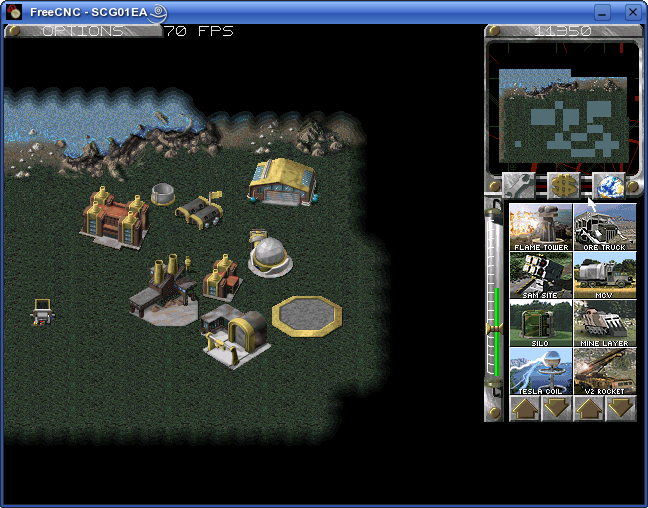 The game will include multiple units and buildings specific to each civilization. It will include both land and naval units. Steel Panthers: World at War is a tactical level, World War II era, historical wargame. This is a very highly refined version of Steel Panthers III. You will find Steel Panthers to be easy to play because of the intuitive nature of the game. There are icons which represent armory, artillery, and mortars. The field is laid out so that each hex is equal to 50 yeards. This game is an interesting and easy to play tactical war game! One cool feature of this game is the variety of tanks which can be used. Try the Leopard 2A6, M1A1, Challenger II, Merkava MBT, or a host of other prototypes! Hop in your tank and let yourself engage in Steel Panthers: World at War! Entirely free game! All you need to do to play the game is download and install the files. Glest is a free 3D strategy game, the core game allows the player to take control of two completely different factions: Tech, which is mainly composed of warriors and mechanical devices, and Magic, that prefers mages and summoned creatures in the battlefield. 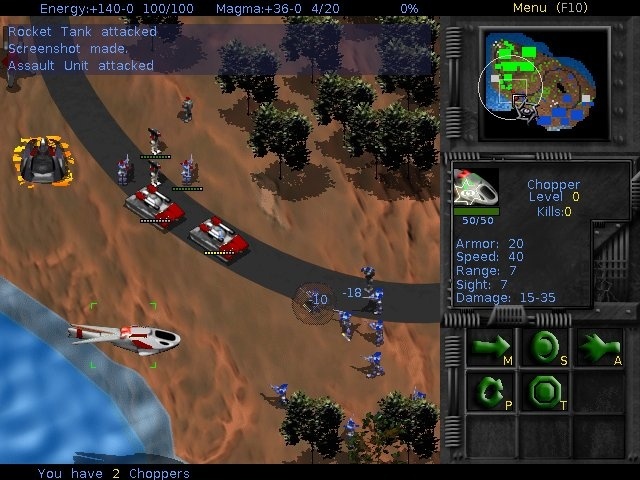 FreeCNC is a reimplementation of the classic real time strategy game Command Conquer. Free Civilization. Build your own world And rule !! In the year 2085, after a new missile defense system was established in the United States, something went horribly wrong. During what may have been a technical error in maintenance, nuclear missiles somehow ended up launched at all major cities across the globe. Detecting this, foreign powers launched their own counterattacks. Ironically, the prized defense system did not work at all; every nuke passed through without interception. In the end, civilization all but collapsed, reduced to small pockets that struggled and fought against each other for survival. Fifteen years have passed since then. You play as the Commander, a member of one such group based in the Rocky Mountains, who begins what is dubbed as "the Project", to hopefully rebuild the world. This game is a 3D turn-based fantasy strategic game in which players become kings, build their empires and conquer enemy kingdoms. As one of the many ruling Kings, your goal in this game is to become the greatest King in the land as you fortify your armies and conquer surrounding enemy kingdoms. 8 Kingdoms allows you to explore its world in either single-player or multiplayer mode. Either way you'll have your hands full as you plot and devise your way to the top. This fantastic game also comes with its own map editor, which means this game has a ton of replayability - as much as you and other players can come up with! 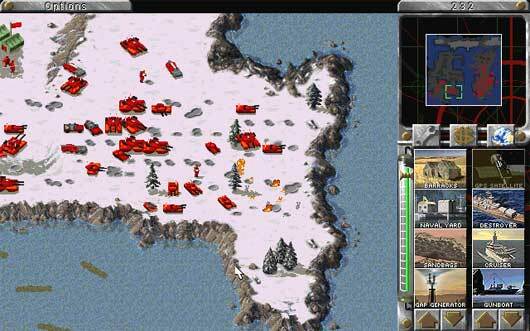 Game Features: Realistic terrain and weather, units earn experiences, artificial intelligence, single-player and multi-player games, multi-player games discovery service and a map editor. 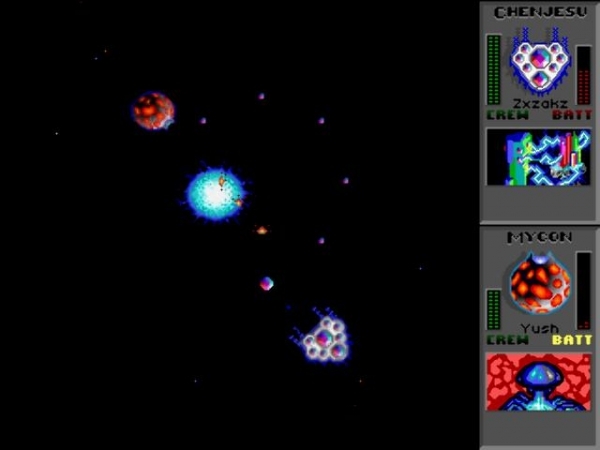 Gate 88 is often described as `like Subspace but with the ability to build turrets and command fighters. While a skillful pilot can decimate the enemy in one-on-one combat, a thoughtful player can overwhelm the opponent with strategic turret and fighter placements. However, only those who truly understand the intricate details of both action and strategy will win the day. Because alliances can be broken on a whim, players must interpret the social situation of the game to ensure that each alliance is sincere. 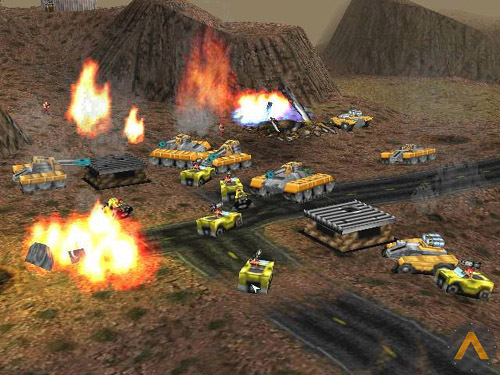 For example, it is not uncommon for an allied player to plant turrets and fighters within your base only to break the alliance and watch your empire crumble from within. Always be careful with your trust. 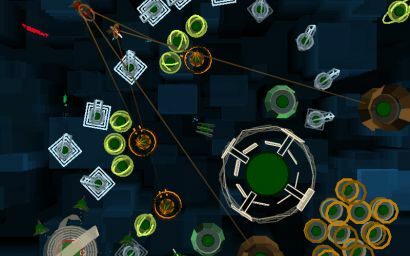 Gate 88 employs a unique user interface that allows players to pilot their ship while performing strategic operations. The tutorial and practice mode will get you up to speed.